“I’ve had more than 40 overdoses,” Daniel Beaverstock said. He’s another user we met at the facility. Beaverstock said he started drugs while he was in prison. Today he’s after his next high. It will come from crystal meth he’s about to inject into his arm. “This warm feeling went up my body and everything,” Daniel said. “What we’re dealing with now, really since 2014, is a massive opioid crisis, and epidemic really,” said Coco Culbertson. She helps manages the programs run at these sites. “It ranges from 10 to 20 some days. There are 30 overdoses at this site,” Culbertson said. That seems like a staggering number. Culbertson agrees. “It’s absolutely terrifying,” she said. The sites are funded with taxpayer money that’s routed through the city’s health department and non-profit groups. Each site can link users to addiction treatment programs when requested. Supervised injection sites may be controversial in the United States, but in Vancouver, there is overwhelming public support. Before these opened, there were needles all over the streets. People were using in businesses’ bathrooms. According to Culbertson, that has been greatly reduced. There are critics who believe that these facilities are just making it easier for people to use. Culbertson vehemently denies that. “Absolutely not. I would argue that there is nothing easy about using illicit substances. No one walks out of their front door one day and decides I’m going to try heroin and buy it illegally,” Culbertson said. The official stance from the health department is: “It did not lead to increased use.” That quote is from Dr. Patricia Daly, who heads up Vancouver’s version of the public health department. She doesn’t miss a beat in her support of supervised injection sites. 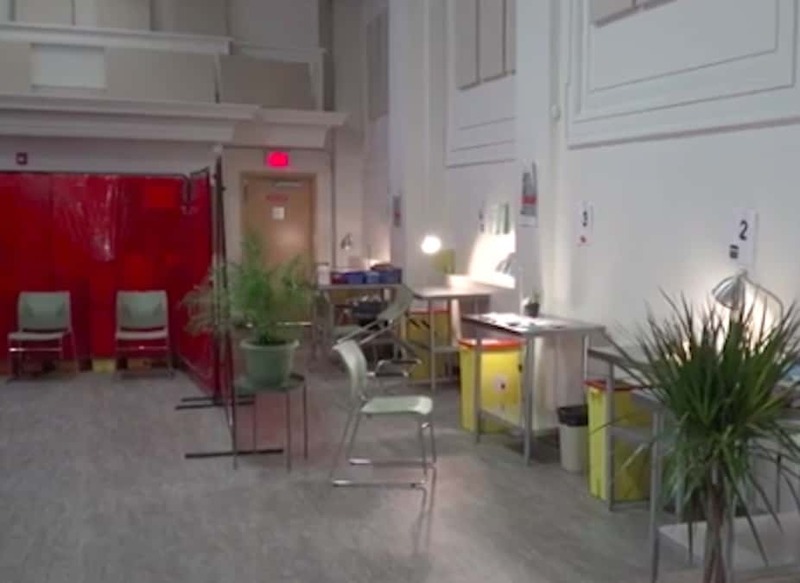 “We have found that supervised injection sites don’t increase drug use, and overall there’s been a reduction in injection drug use in Vancouver in the years since we’ve offered supervised injection sites,” Daly said. “If you save one HIV infection from occurring because people are using clean materials in these sites, the cost, the lifetime cost, of providing care to someone with HIV is astronomical,” Daly said. “We believe that when there are laws on the books that you need to obey the law,” said Tom Gorman, the director of Rocky Mountain High Intensity Drug Trafficking Area, a regional federal program that monitors drug trends. For supervised addiction sites to operate in Canada, the government had to suspend laws that made it illegal to use drugs at the sites. This means police don’t arrest users inside. “Absolutely. I understand from an individual standpoint where the treatment people say ‘We want this for an individual.’ That’s their success rate. We look at society in general and say no we want to stigmatize drug use because we don’t want more people that you and I have to deal with and a perfect example is tobacco. It used to be cool to smoke tobacco. I mean everybody knows Joe Camel the Marlboro Man. “It is no longer cool,” Gorman said. The users we met know it’s not cool. They say they’re trying to beat the addition but it is a painful road. We asked Beaverstock if he’d like to stop.